Cal-Ohio is a third generation family owned business that has been serving Northeast Ohio and Western Pennsylvania for 60 years! In 1955, our founder Hav Sahli left his job as a coal hauler to pursue his dream of owning his own business. He initially partnered with a distributor in Canton, Ohio before becoming sole owner. Two years later after selling out of his car and an old farmhouse while his wife answered the phone and took orders, he found a piece of land only yards from where he grew up – making 50 East Strawberry Alley Cal-Ohio’s permanent home. 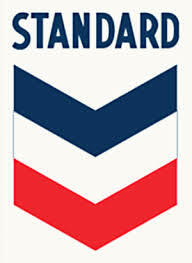 Even though many years have passed and the physical structure of Cal-Ohio has changed and been expanded, some things remain the same – our dedication to the Chevron product and our dedication to our customers. This vision is carried on today by his son, Bob as well as his grandsons Mike and Mark and the entire Cal-Ohio staff. When you call Cal-Ohio you’re not going to get a secretary or be put on hold – you will talk directly to one of the many experienced Cal-Ohio employees that will be able to take your order, answer your questions and make you feel a part of the extended Cal-Ohio family. With over 125 years of experience in selling and delivering our product line, our staff values the loyalty and friendship of our customers. We also appreciate the many referrals of Cal-Ohio patrons to others. Don’t be surprised if you receive a personal note of thanks when we learn of your Cal-Ohio “salesmanship” to others. How many businesses do you know that have served the public for sixty years? Cal-Ohio is one of those special long term companies. We follow the philosophy of treating our customers like we would like to be treated. If you’re already a Cal-Ohio customer – thank you. If you’re considering being a Cal-Ohio customer we welcome the opportunity to show you why Cal-Ohio Lube Products has received national recognition for its dedication to doing things the right way.